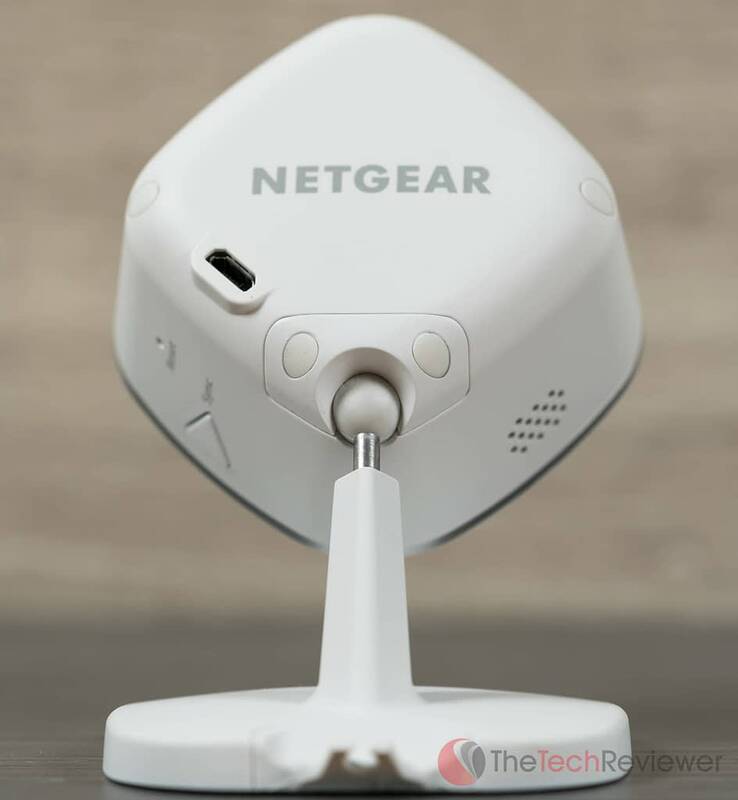 Netgear Arlo Q Wi-Fi Camera Review - Better Than Nest? Netgear’s Arlo Q is an affordable home Wi-Fi video camera with cloud recording. The ‘Internet of Things’ era has begun and homes around the world are becoming “connected” in more ways than one. With broadband Internet access becoming a basic commodity and manufacturer’s pumping out Wi-Fi enabled devices left and right, it won’t be long until we can control our entire house via a smartphone. One of the greatest advances from the “Internet of Things” movement is the influx of affordable and easy to set up home video monitoring systems to the consumer marketplace. 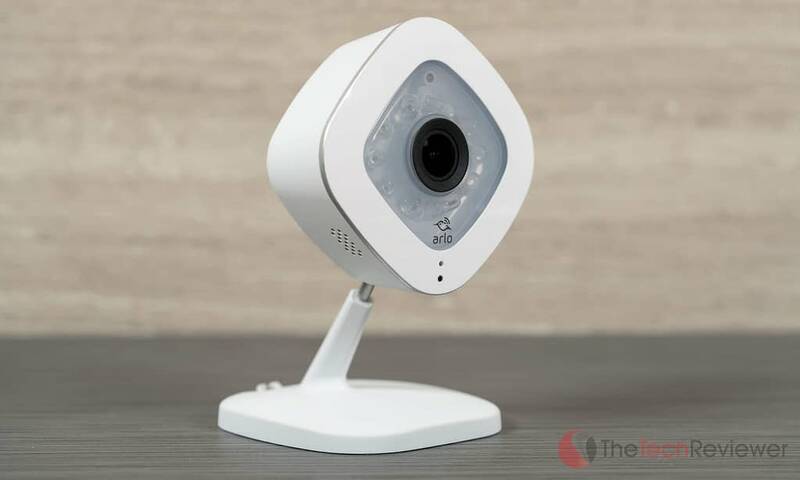 In this review, I’ll touch on Netgear’s new Arlo Q, a new security camera with 1080P recording capabilities, 2-way audio transmission and free cloud recording included. The Arlo Q retails for $219.99 and includes the camera unit, a power adapter/cable, wall mount plate, mounting screws, window decal and a quick start guide. Netgear designed the Arlo Q with a minimalistic, modern design that most can appreciate. 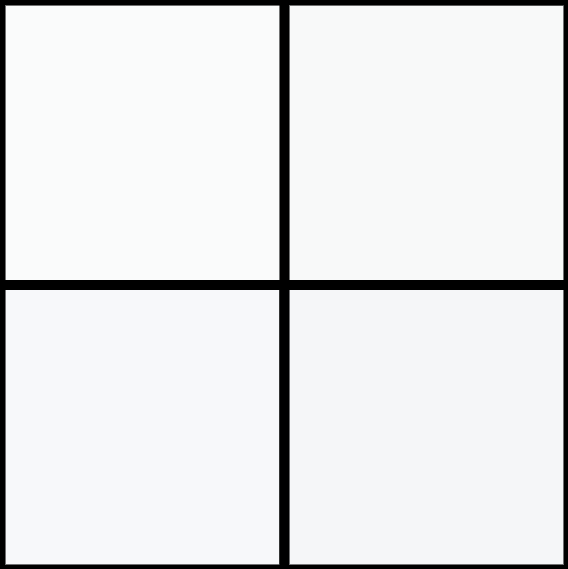 It offers a matte white finish that helps to blend in with its surroundings as well as hide dust and fingerprints. Starting from the bottom, there is an oversized square base that does an excellent job supporting the size and weight of the camera unit. On the bottom of the base, there are six non-slip pads that keep the Arlo Q stable while resting on a flat surface like a shelf, desk or table. The back of the base offers a convenient little clip for securing the supplied USB cable in an organized fashion. The Arlo Q is attached to the base via a thin shaft joined via a ball head joint. This design element offers maximal adjustability with the option to tilt or pan to the precise viewing angle for your needs. As for the camera unit itself, the chassis resembles a diamond shape with a small Arlo logo on the front and a larger Netgear logo on the back. There’s an integrated speaker on the left side of the chassis and sync/reset buttons on the opposing side. 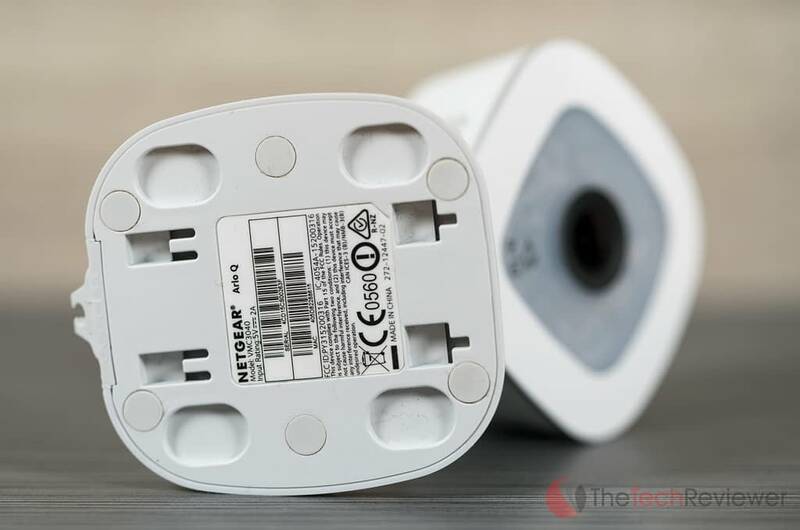 The unit receives power via its supplied micro USB cable, and this port is found on the rear. The front of the camera unit, has a small LED light for communication with the user and a small microphone used for the 2-way communication feature. Its lens is located in the center surrounded by infrared lights which supply it with night-vision capabilities. 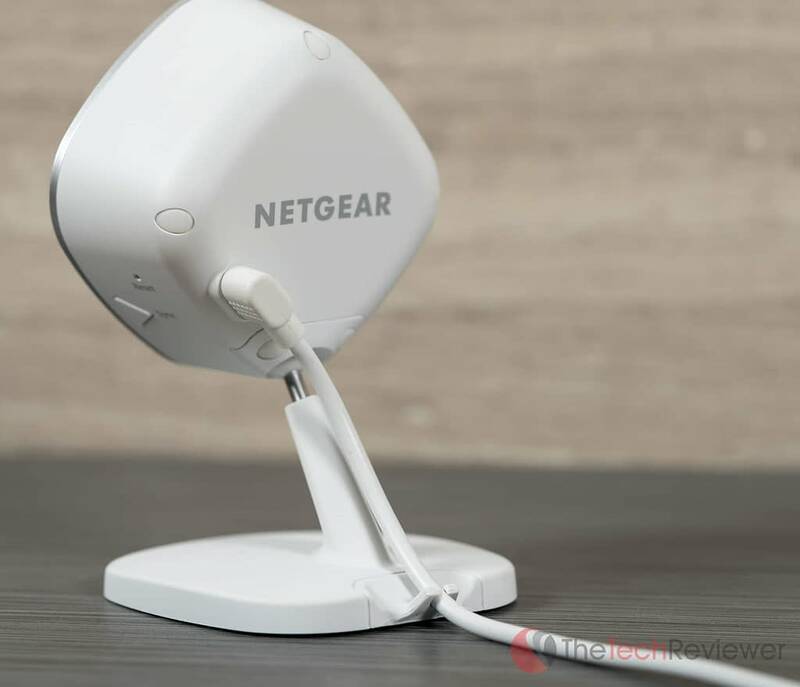 As for the overall build quality, I’m satisfied with the approach Netgear took as they did not skimp on materials and went the extra mile adding convenient little elements like a ball head mechanism, non-slip rubber feet, and integrated cable clip. Since anyone can google the full technical specs of the Arlo Q, I am going to use this section to touch more on the important features and compare its feature-set to competing models at a similar price-point. As you can see from the table above, the Arlo Q is the highest priced option included in the comparison, but also offers the highest degree of features. 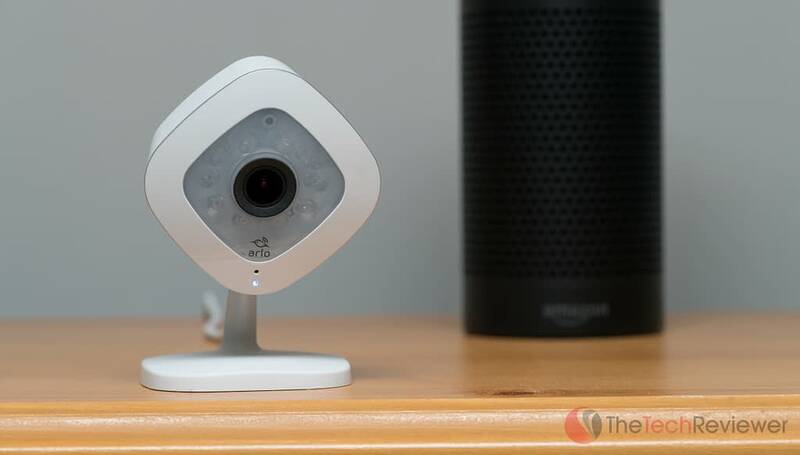 Coming at a close second is the Nestcam (formerly Dropcam), but the lack of any included Cloud recording capabilities gives the Arlo Q the advantage even at a $20 premium. 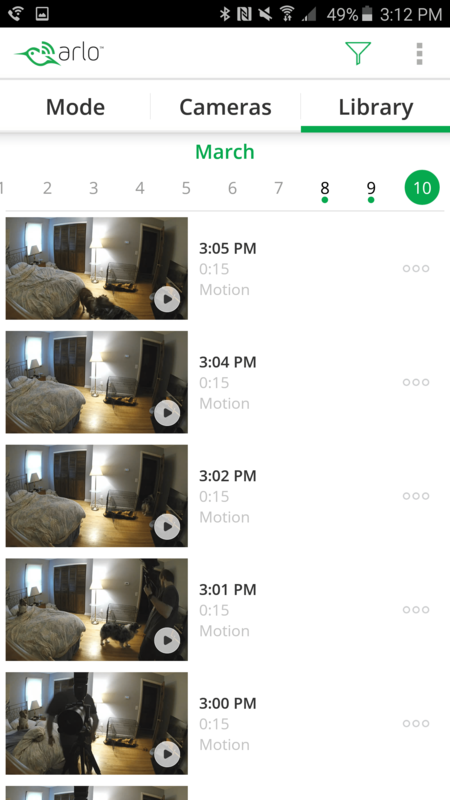 With every Arlo Q purchase, you get a free 7-days of incident-triggered cloud recording (Basic) though you can upgrade this through their web interface at a rate of $9.99/month (Premiere) for 30-day cloud recording or $14.99/month (Elite) for 60-days of storage. Each of these plans are capped at a certain storage capacity: 1 GB for Basic, 10GB for Premiere and 100GB for Elite. However, this record function will only capture to the cloud when motion/audio is detected so you will not be getting hours of static footage wasting your storage requirements. If you want to enable cloud recording on the Nest Platform, you’ll have to purchase a ‘Nest Aware’ plan on top of the original price. 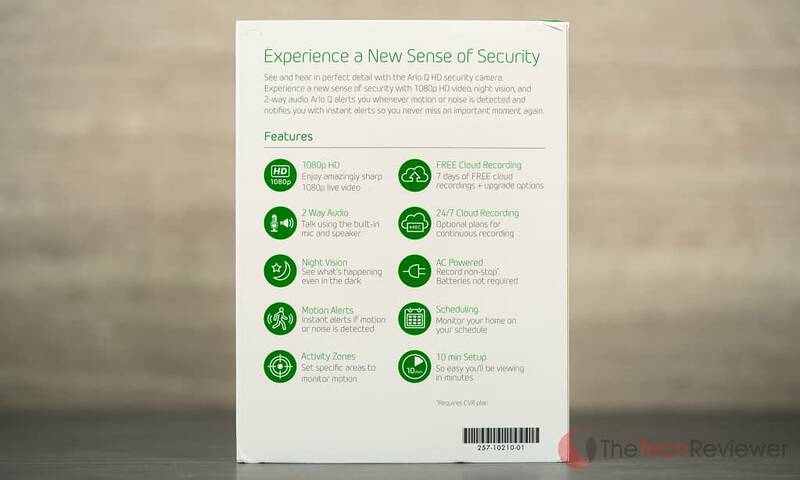 They currently offer two subscriptions: one offers 10-days worth for $10/month or $100/year and the other provides 30-days of cloud storage at $30/month or $300 year. Unlike the standard cloud plans for the Arlo, the Nest plans continuously record rather then just when motion or sound is triggered. However, Netgear offers this same functionality for their optional continuous video recording (CVR) plans for fee slightly higher than their traditional Cloud Plans and still cheaper than the Nest equivalent. 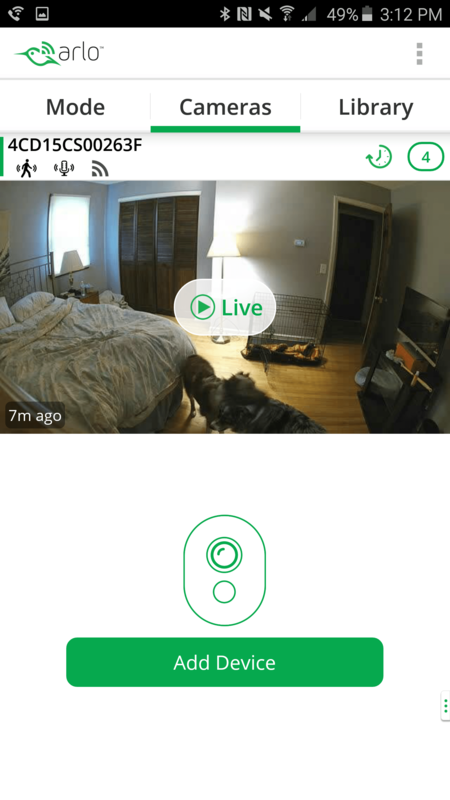 The Arlo Q and Nestcam both harness 2-way audio, motion/sound detection, 1080P video resolution, night vision support and a 130-degree field of view. Unlike the standard Arlo series, the Arlo Q requires constant power by way of a USB cable and is not suitable to weather the elements, so outdoor use is not recommended. 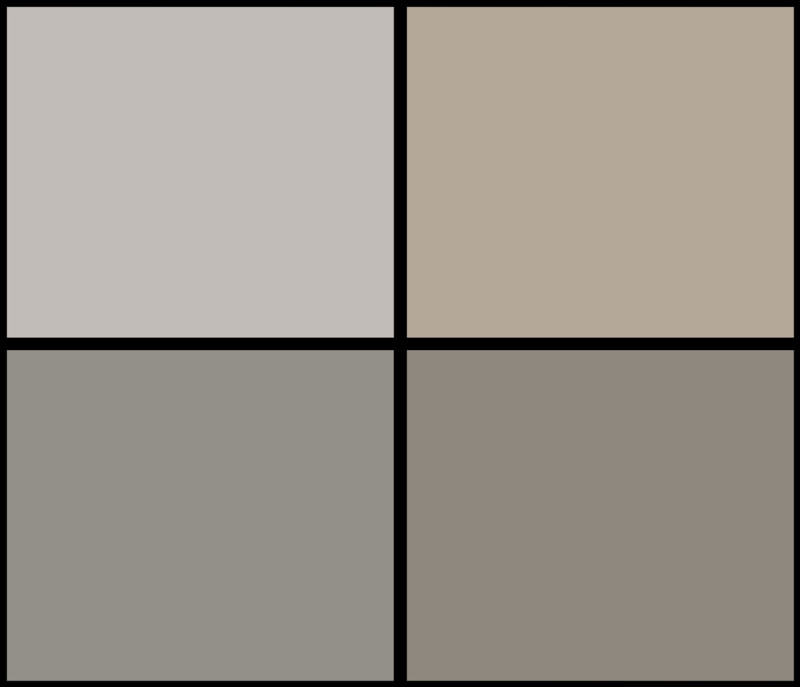 One of the biggest worries consumers have about security cameras is their setup process. Traditional wired security cameras require a complicated installation process that often requires an electrician or qualified installer to run the cables behind your walls and ceilings to keep everything looking clean. With a wireless IP camera such as this, the process is very simple. Once you've provided the Arlo Q with power via a wall socket, you can download the mobile application and follow the setup wizard to get up and running in just a few minutes. Similar to the OcoCam, the Arlo Q can scan a QR code from the mobile app making the syncing a breeze. 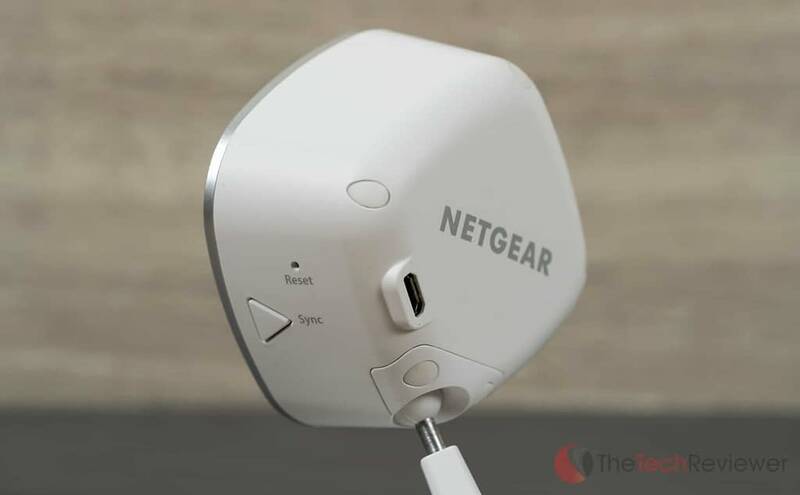 Netgear has launched the Arlo companion app on both Android and iOS as well as a browser-based application for viewing on a PC or Mac. The iOS and Android apps are very similar with a clean, organized interface that is easy to navigate. 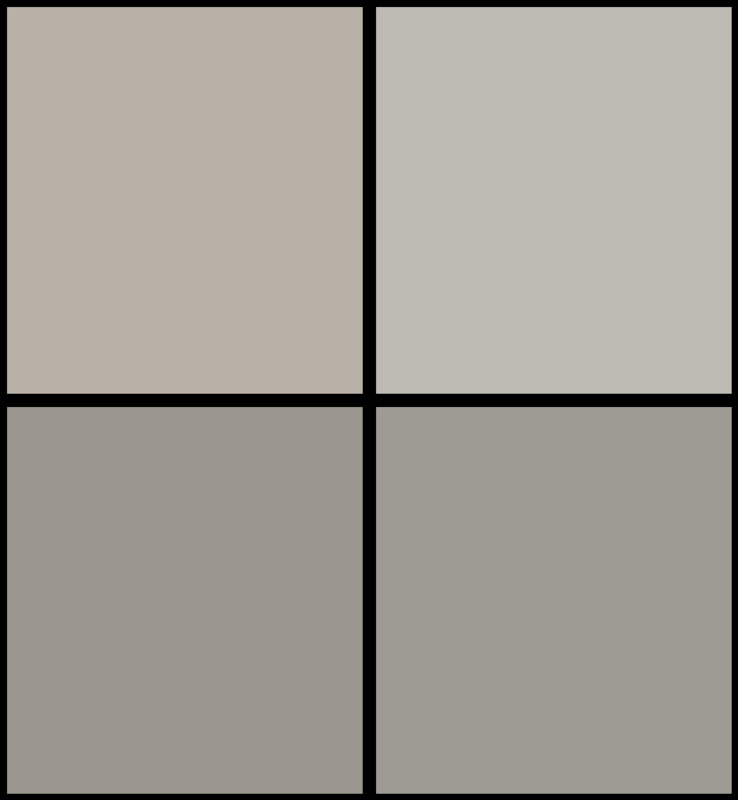 There are three main sections within the app: ‘Mode', ‘Cameras' and ‘Library'. 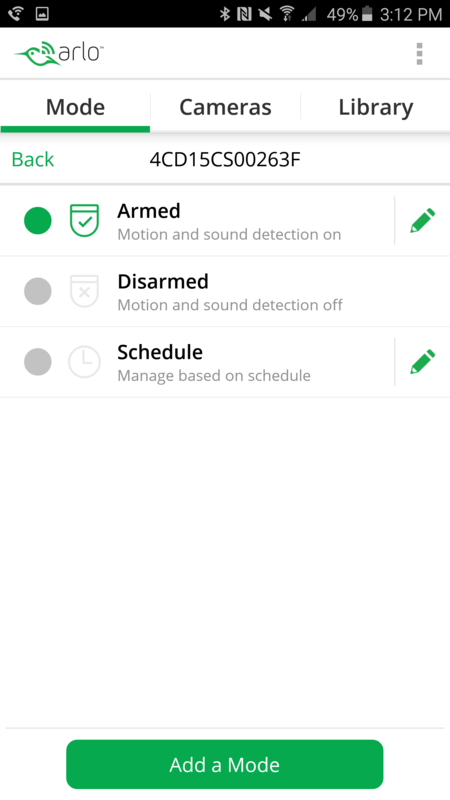 The ‘Mode' section is where you can toggle each camera's motion/sound detection feature on and off or set up a custom schedule that will automatically enable/disable this functionality based on the time of day. 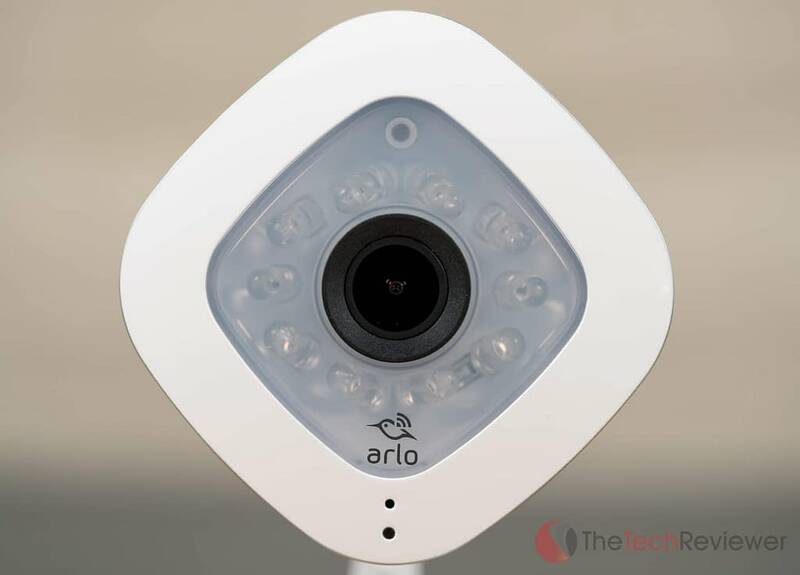 ‘Cameras' is a simple list of the Arlo units that are currently linked to your account. From here you can view a live feed, snap a screenshot or access the two-way audio feature. Lastly, the Library tab is a list of all the recorded clips taken with the Arlo Q, neatly separated by calendar days. Once you open a previously recorded clip, you have the option to save it locally to your device as well as favorite, share (via a link or on Facebook) or delete. 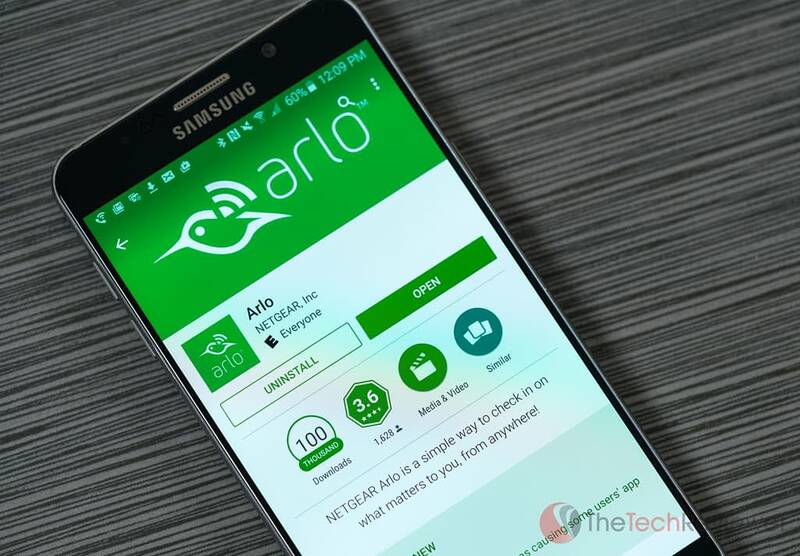 The Arlo apps have been well designed with ease of use in mind although they still suffer from sluggish performance at times. While it may depend more on your available Internet connection than anything else, I've noticed a lag in initiating a ‘live' camera stream (sometimes up to 30 seconds) and the two-way audio function can be a bit buggy. However, these are minor gripes that can be improved via future firmware updates, so I do not consider it a major downfall. As with most security cameras, you cannot expect the resulting video and audio quality to be perfect. Compared to my OcoCam, which only shoots in 720P, the Arlo Q's image is much sharper, and this sharpness allows you to zoom in and still make out fine details that would be unidentifiable if shot in a lower resolution. It is worth noting that my Arlo Q began capturing at 720P straight out of the box, but I was able to switch this to full 1080P HD within the app settings. 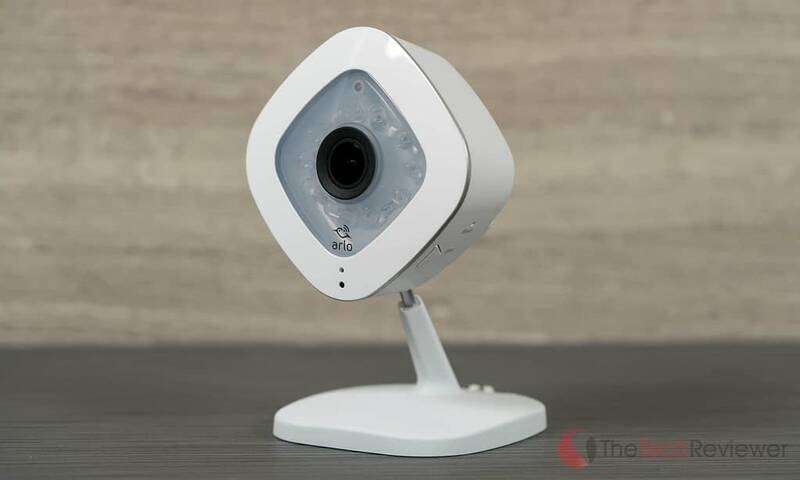 Of course, the colors and dynamic range are not comparable to the video capabilities that we are spoiled with when using modern DSLRs, mirrorless cameras, and smartphones, but for a Wi-Fi security camera, they are impressive. As you can tell from the clips below, you'll sometimes see fisheye distortion due to the Arlo Q's ultra-wide field of view. This will be more or less dramatic depending on the size of the room you are in and how you decide to mount the camera. This phenomenon is a typical result with models like the Nestcam, so this is not a disadvantage when to the competition. Regarding audio quality, the Arlo Q will capture a vast array of noises within its general area which can be both a positive and negative attribute. It is good that it can capture the sound of a window breaking in the other room or a dog barking downstairs, but bad that it picks up background noise like an air conditioner, television or furnace which can overwhelm the audio recording. The two-way audio capabilities are convenient and it has come in handy when watching my pets while I am away from home. A few weeks back, my new puppy was chewing (and destroying) a new blanket in her crate while I was away. As soon as I activated the live camera and saw what she was doing, I was quickly able to scold her via the Arlo Q's speaker despite being all the way across town. Fortunately, this was enough to make her stop chewing, and I was able to salvage the blanket. I do wish the audio output on the Arlo Q was a bit higher when using the 2-way audio feature, but I know it is hard to fit a more powerful speaker in such a smaller device. 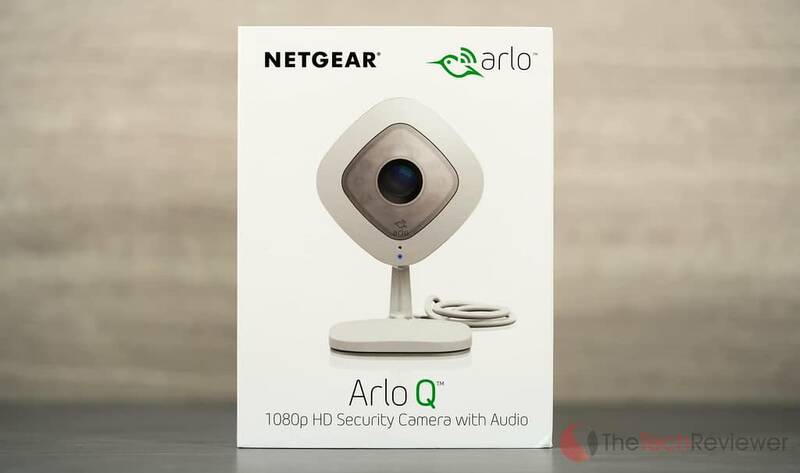 Netgear’s Arlo Q is a top-end option for a home Wi-Fi enabled cameras though they justified its premium price-point with the quality build and design coupled with a highly competitive feature-set. Sure, there are cheaper options on the market, but each of these force you to settle for aspects like a lower resolution, narrower field of view, lack of audio support, night vision or costly cloud recording plans. If you are on a budget, you might want to save a few bucks and grab an Ococam. However, if you want the best of the best, the Arlo Q is unmatched in build quality and features for the price. 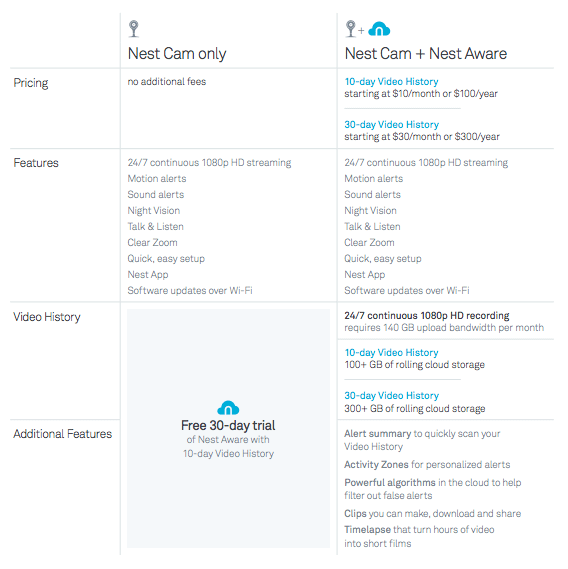 I would recommend it over its Nestcam competitor, especially if you need cloud recording capabilities as even their paid plans are more affordable. Need a wireless surveillance solution you can use outside? 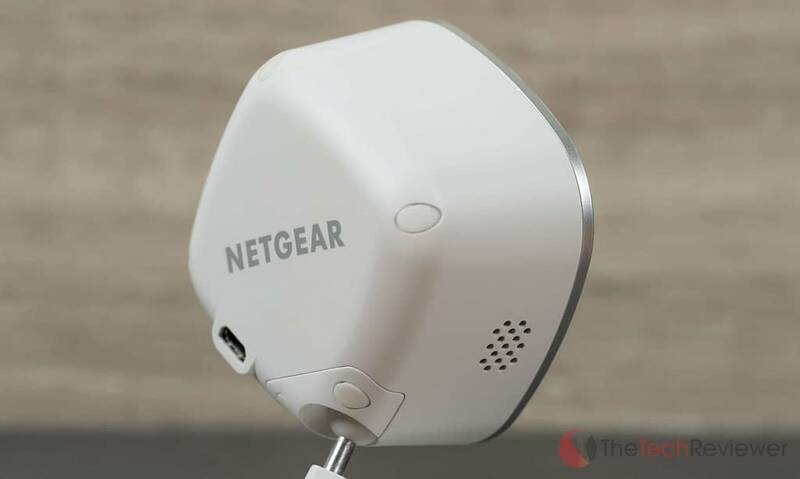 Look into Netgear’s standard Arlo series which sells in packages including a base station and various quantities of cameras that each are both weatherproof and battery powered.